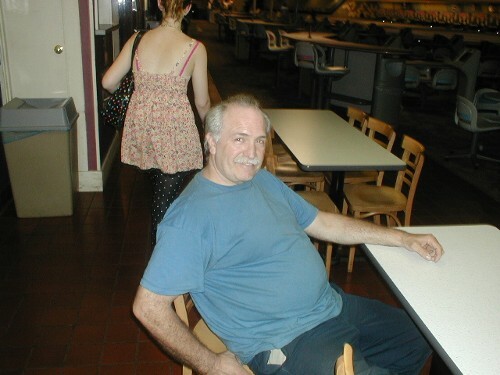 Bob Hamilton...promised him he could be at the top of the scrapbook. 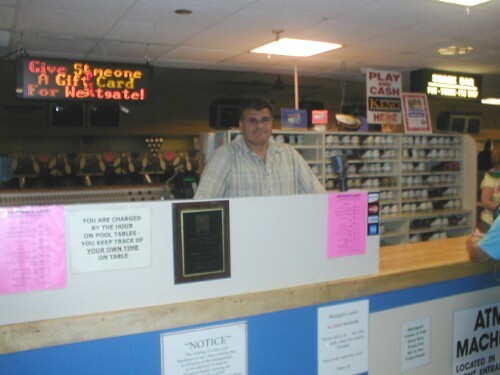 Ray DiSanto, Jr., owner of USA Bowling Pro Shops (and my coach), helping an unknown customer. 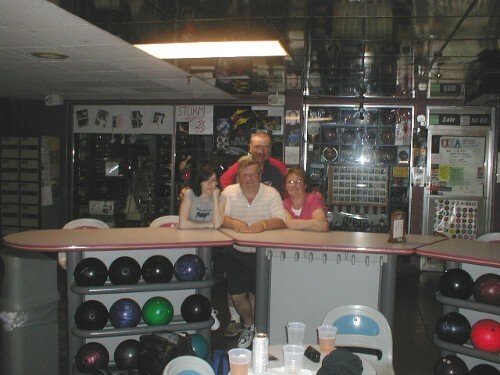 His wife Anna is in the right edge of the photo. 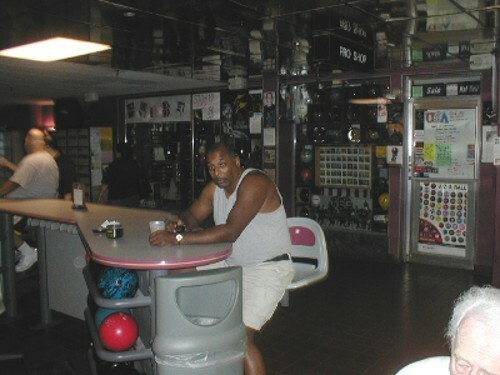 Ron Haynes. 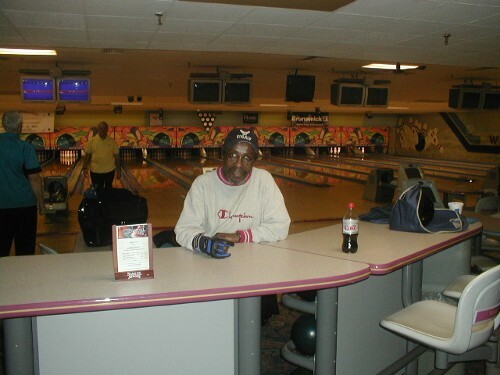 He was in my summer league, but bowls the Westgate Mixed League in the winter. 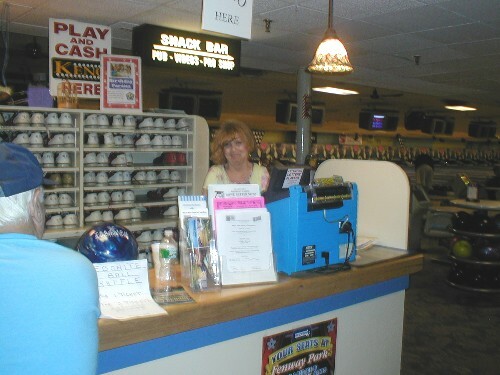 Debbie Butler, another bowler I met in my summer league who bowls in the Westgate Mixed League. 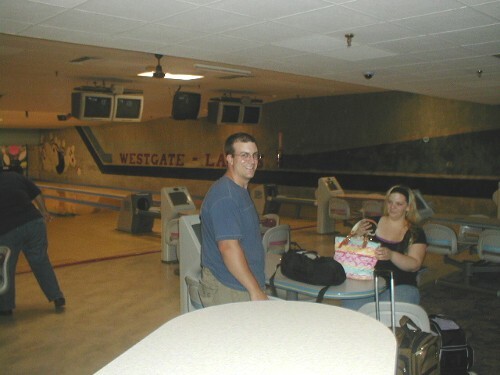 Eric Nordstrom and Lauren Topper, two bowlers in the Brunswick Mixed League. 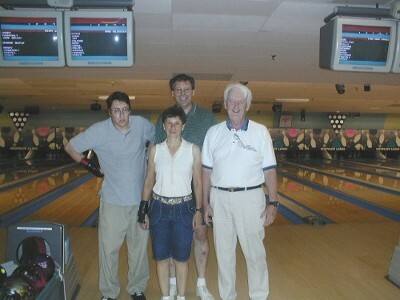 Eric is the Sprisslers' nephew. 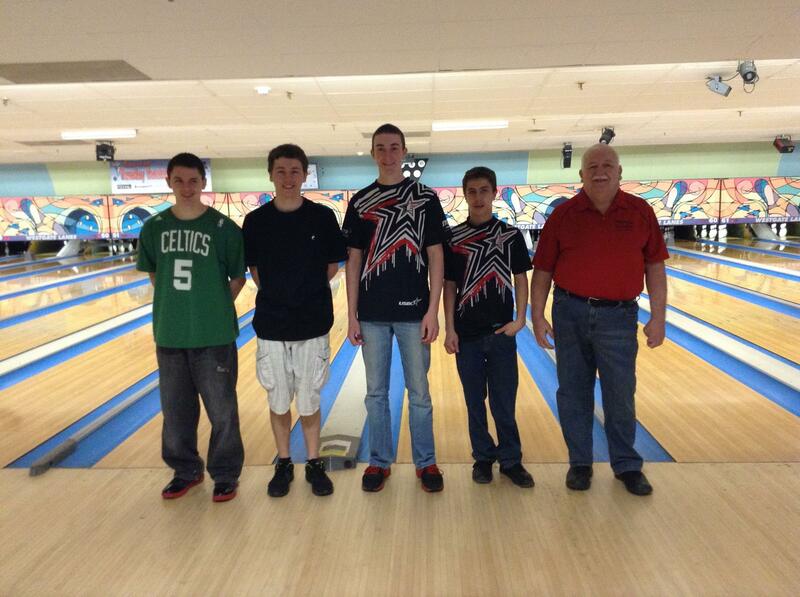 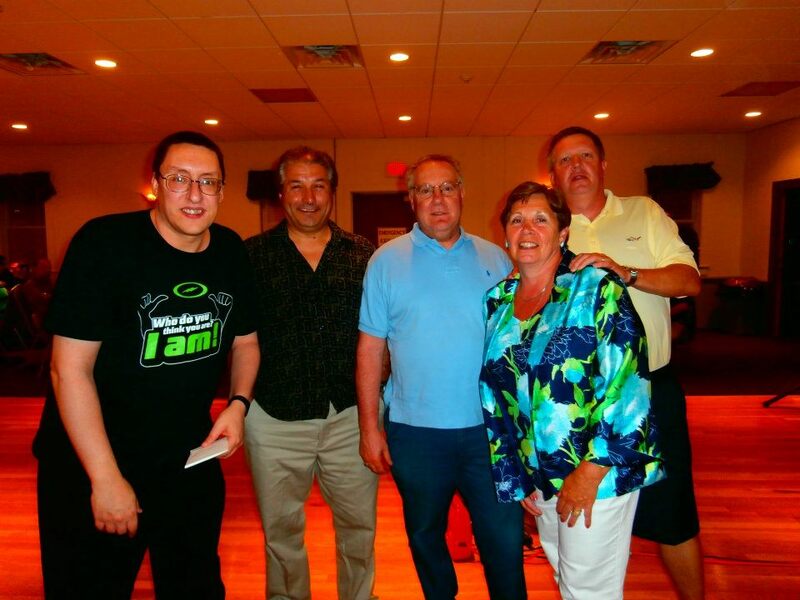 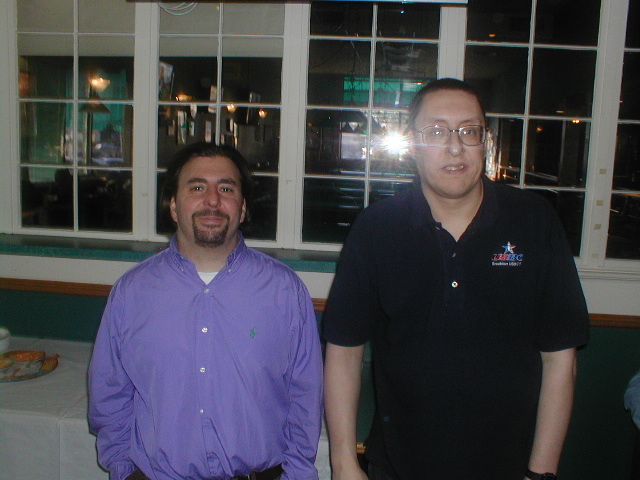 Me (in USBC shirt) with Al D’Aquino. 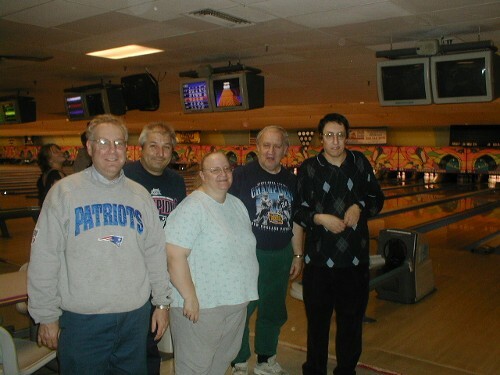 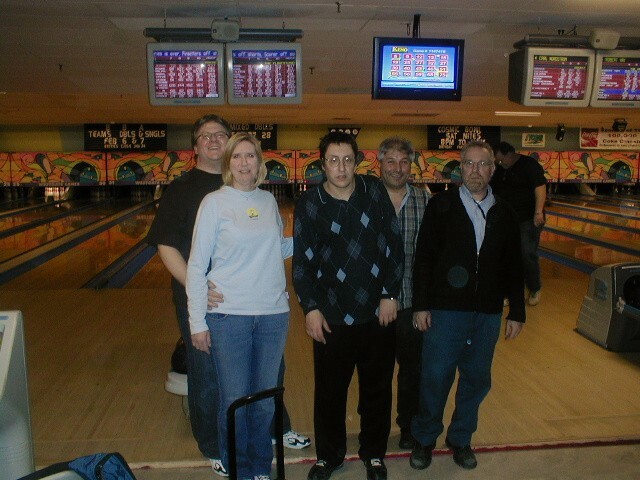 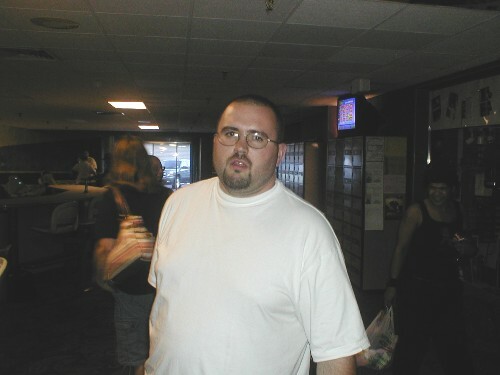 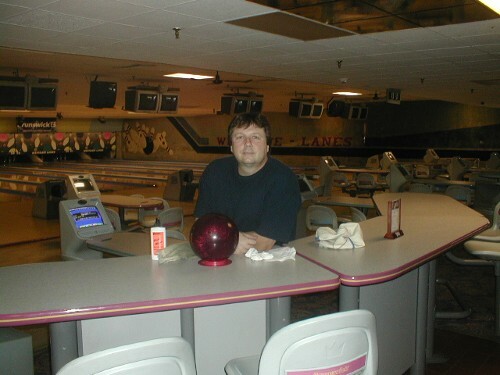 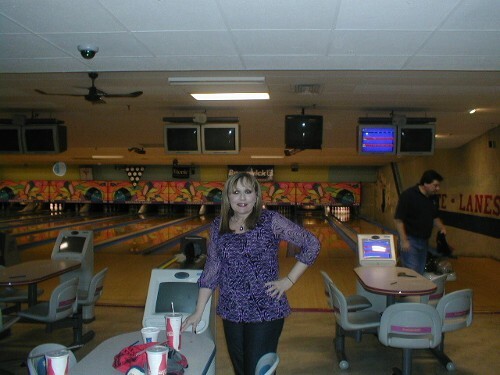 Along with “MikeHL,” Al is another bowler I first “met” online.